The final season of Breaking Bad will be coming at us faster than we know it and fans of this critically acclaimed show know that they’re in for some powerhouse conclusions. If you don’t like being spoiled (and with a show like this, I can understand why), then perhaps you should divert your attention now, because some major spoilage action follows this paragraph. Consider yourself warned, warned: turn back now, non-spoil-lovers! 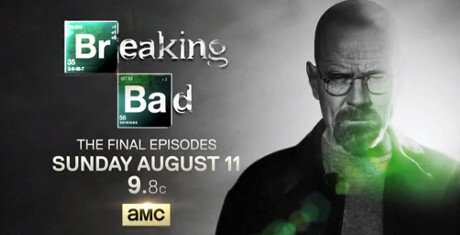 In spoilers and rumors commenting on the final eight episodes of BB, the fate of Walt has been put into question. Will he live? Or will he die? The debate continues and no one is 100% certain as to how his character will fare by the time the final credits roll, but don’t be surprised if he bites the dust. The season will return on August 11th to give longtime fans of this show some form of conclusion. What are you hoping for? What do you think will happen? Will this be the end of Walter White? Take our poll below. We’re curious to know what you think! Breaking Bad Final Episodes: Will Walter White Die? “Wife Swap” Gina Loudon and Angela Envy Sneak Peek & Spoilers: There’s A First Time For Everything! The Walking Dead Season 4 Spoilers — New Characters Making their Debut, Plus Episode Titles!